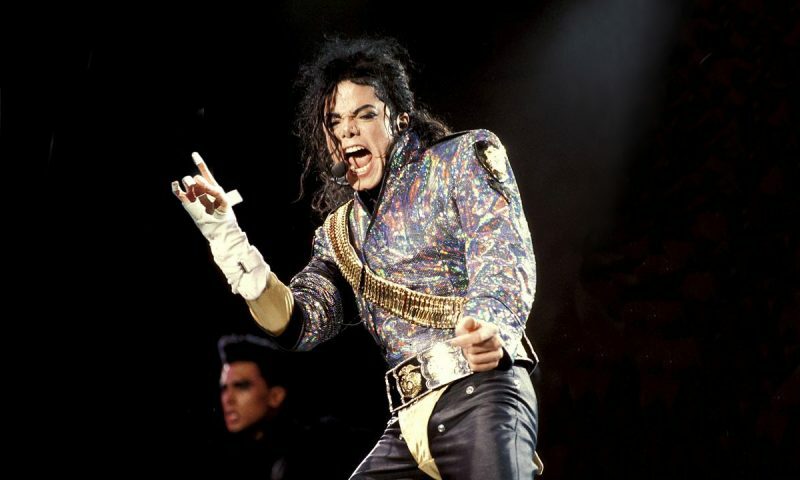 Michael Jackson is a divisive figure — on the one hand he is arguably the most influential musician of the 20th century, on the other hand, his behavior in later life became synonymous with lavish eccentricity. By the age of 50, he had amassed a vast fortune which allowed him to indulge every whim, no matter how strange it seemed to the outside world. It’s not clear who started the nickname but even in the 1980s, there were whispers in the tabloids that Michael was sleeping in an oxygen tank to maintain his youthful looks. However, as reported by the Sydney Morning Herald, this wasn’t exactly true, “a 1986 tale about him sleeping in an oxygen coffin and another story about him seeking to buy the bones of The Elephant Man were both fictions fed by Jackson to a hungry media.” He did, however, own a £22,000 gold-plated Egyptian sarcophagus. 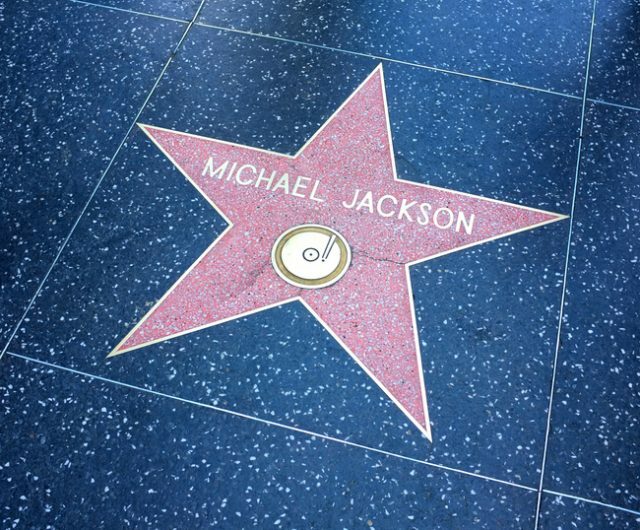 Michael Jackson’s star on the Hollywood Walk of Fame. By 1987, Jackson had purchased his famous Neverland Ranch and over the next decade he would create his very own theme park with rides, a video arcade, and a zoo. His spending went on unabated. The cost of running Neverland was said to be £160,000 a month and he showered his friends with expensive gifts, such as a $1 million necklace for Elizabeth Taylor. He loved exotic animals and famously had a chimp called Bubbles and a giraffe called Jabbar. 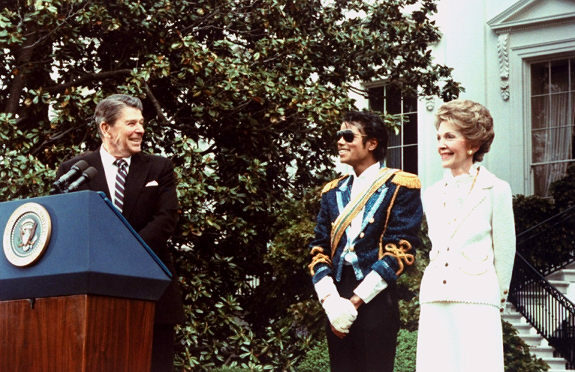 Jackson at the White House being presented with an award by President Ronald Reagan and First Lady Nancy Reagan, 1984. 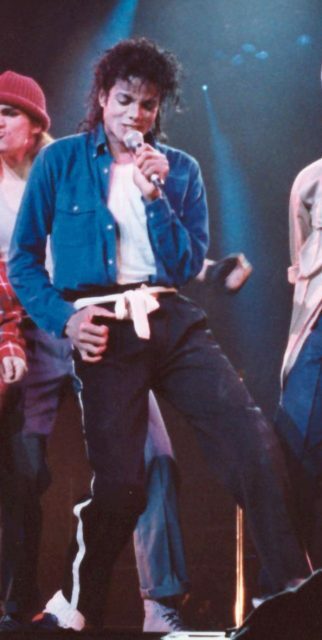 The Wacko Jacko moniker went into overdrive when Jackson started to drastically alter his appearance. 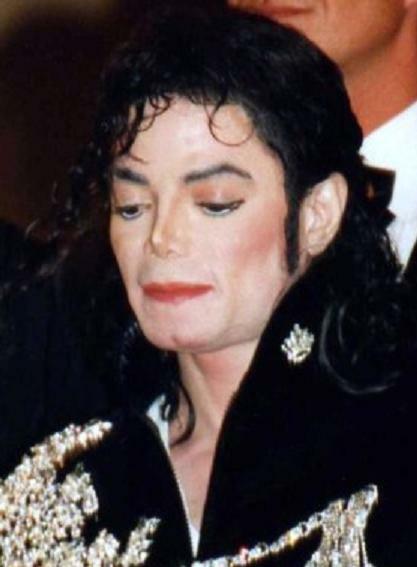 According to Jackson, he suffered from a rare skin condition called vitiligo which caused his skin to lose pigmentation. While there is medical evidence supporting this claim, it is also true that he used skin bleaching techniques to maintain an even coloration leading to a lightening of the skin. Around the same time, Jackson started to undergo plastic surgery which he claimed was to help him breathe. Looking at photos of Jackson show evidence of work done not only to his nose but also to his cheeks, lips and chin. Around 1994, Jackson hit the headlines again with his ill-fated marriage to Lisa-Marie Presley which lasted less than two years. After this he married nurse Debbie Rowe, who he had two children with. Jackson would add another child to his brood with an anonymous surrogate. He took full custody of all three children and made sure that they were kept out of the public eye, wearing something to cover their faces whenever they were outside Neverland. 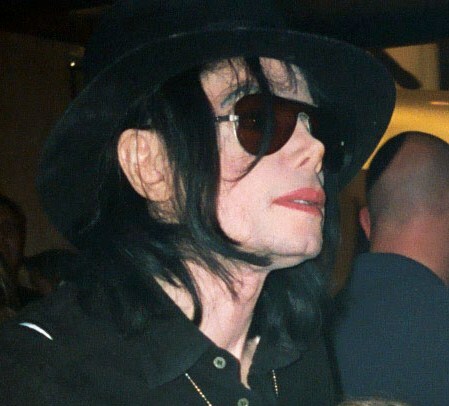 For a celebrity such as Michael Jackson, this need for privacy can be understood but this decision was met with critical scrutiny from the press. There was also the unfortunate moment where he dangled his third child from a balcony, something he later said he regretted but was used at the time to show a lack of parenting skills. 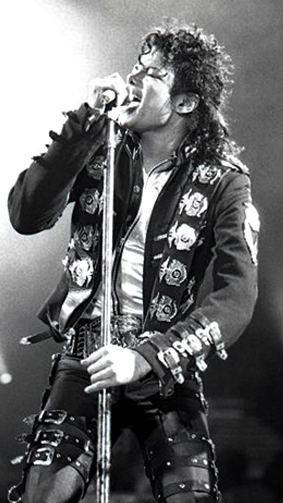 Michael Jackson passed away on June 25, 2009 and will be remembered both for his far-reaching effect on music and culture and for his extravagant lifestyle.